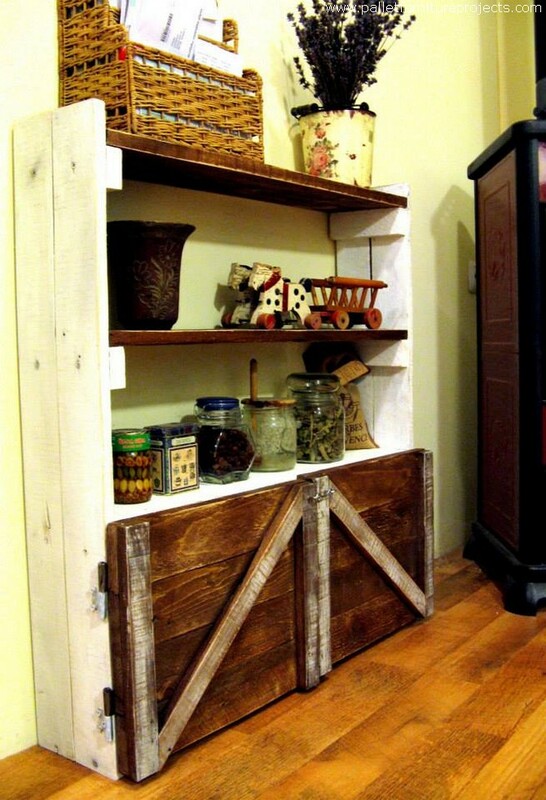 We know that the wooden side table and the wooden shelves are two different wooden entities. But combining them on one place is just like a charm for the home dwellers as they would be getting maximum possible utility out of one single wooden furniture article. Making some multi purposed wooden furniture items has always been our prime objective. And the reason behind this was to provide you guys with the maximum possible utility out of a unit made with the wood pallet. This saves time and also saves the timber that is wood pallet. 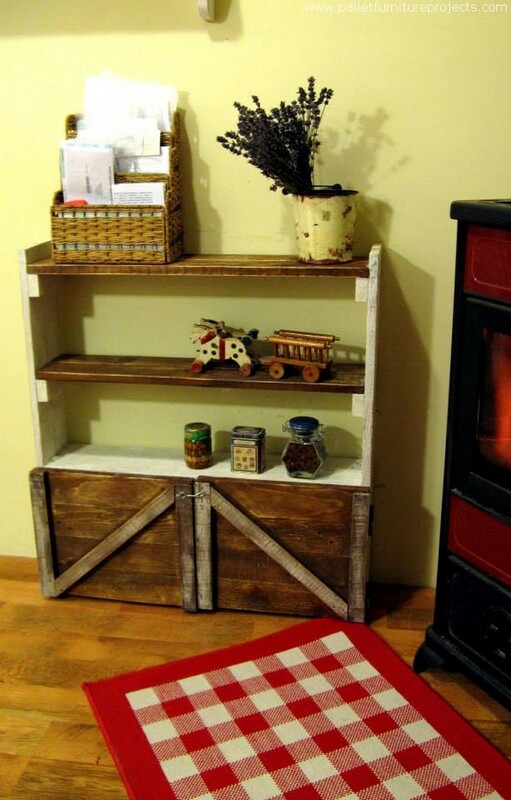 We have brought here the very inspiration that we are talking about, a wood pallet side table with shelves. We normally conceive a simple and straight table when we talk about a side table. But if it is provided with some shelves, this becomes something exceptional as it would be serving a number of needs at the same time. 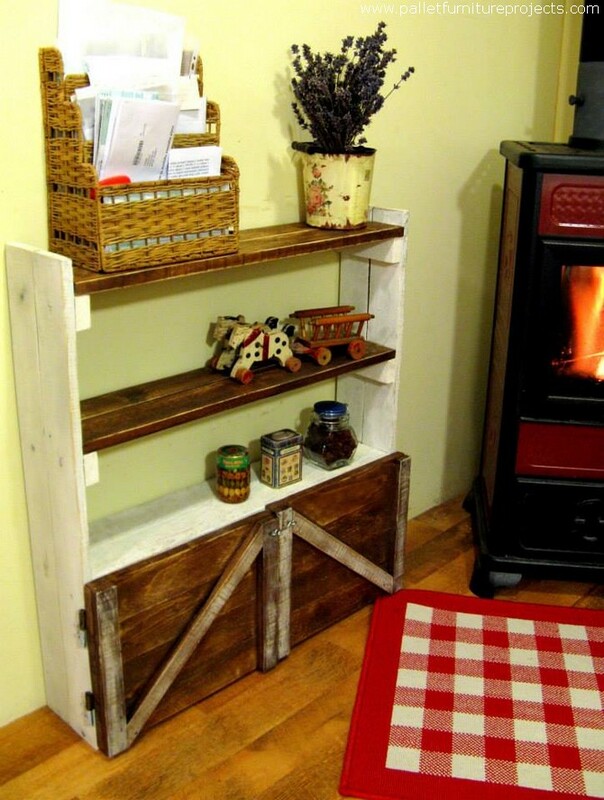 Now have a look on the actual wooden article that we have repurposed with the wooden pallet here. This is basically a multi tiered side table that has got three flat layers. 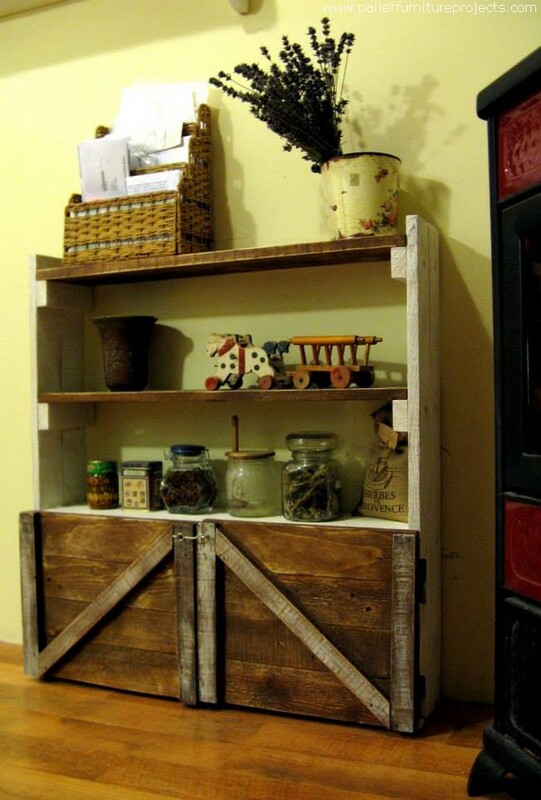 And each layer can be used individually as a storage and display space. In some of the earlier side tables we didn’t focus much on the availability of additional space. 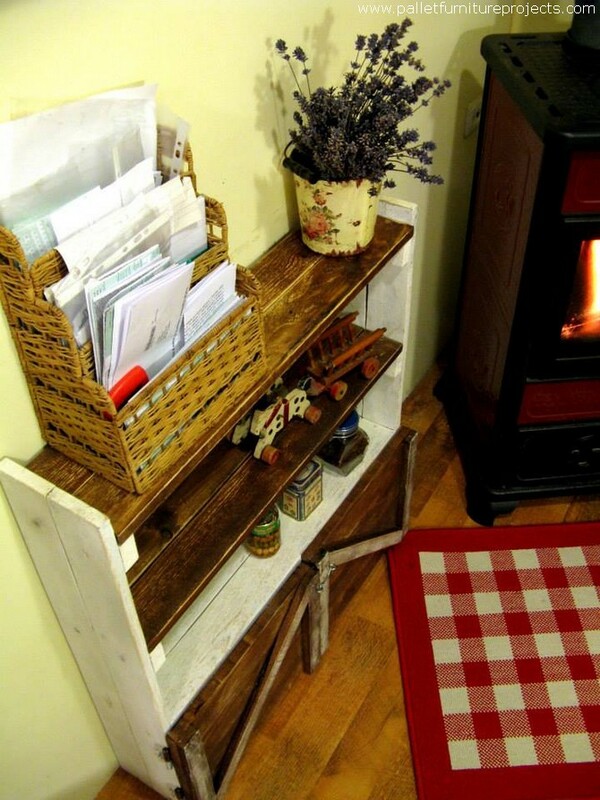 But as this one was meant to be a side wooden pallet table with shelves, we designed it very smartly. The shape is kept simplest despite of having all the supplies in bulk. We stained the outer corners with the bright white color while the inner structure is just kept rustic to introduce a contrasting touch. 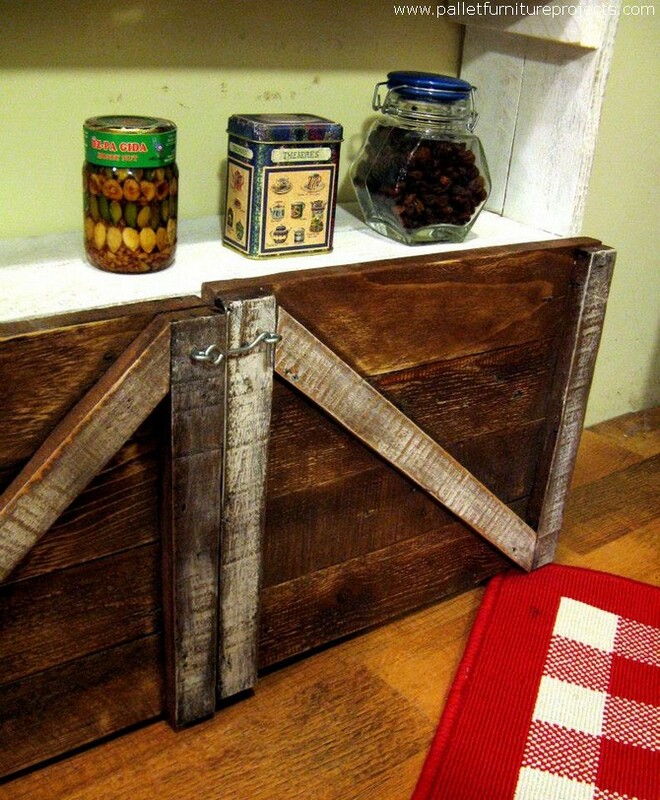 You can place this wooden pallet side table in any part of the house. 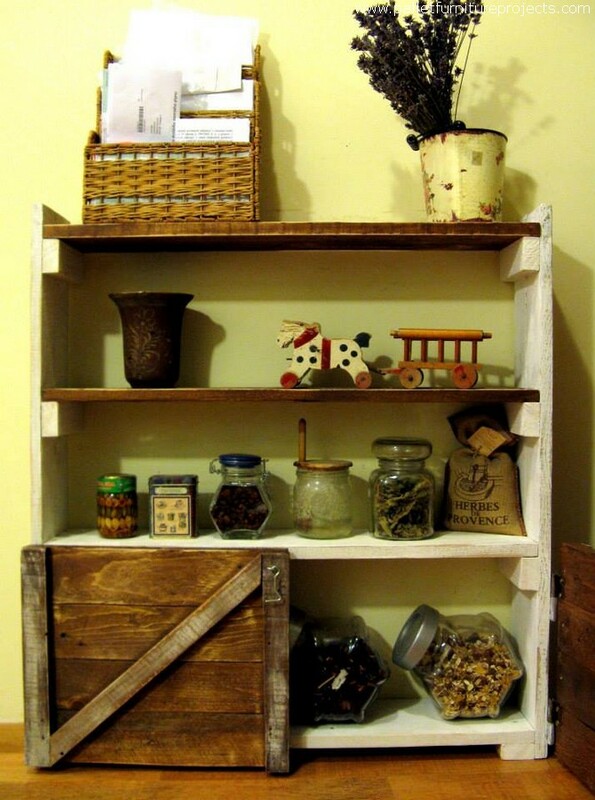 Use each shelf for placing some accessories or some decoration pieces.